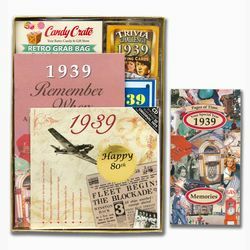 1939 Gift Basket Time Capsule For a friend or relative turning 80, buy this time capsule that is loaded with goodies celebrating the year they were born. 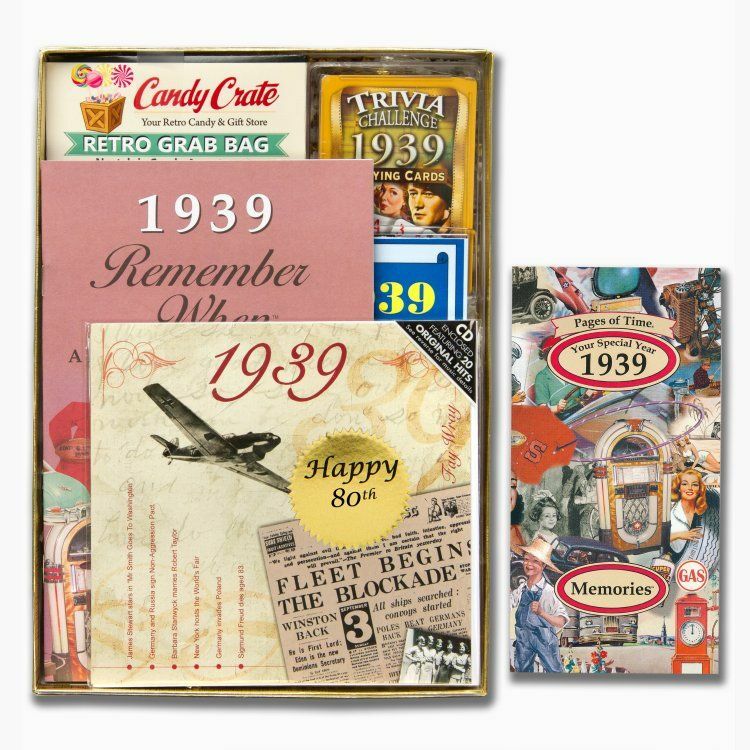 Whether you want to hear music from 1939, sample retro candies, browse prices from what things cost, we have it all in this fun 80th birthday gift. Our time capsule can also be personalized at no additional charge with your own 50 character message that goes on the seal on the top of the time capsule. a keychain with a few year stamps on the back. 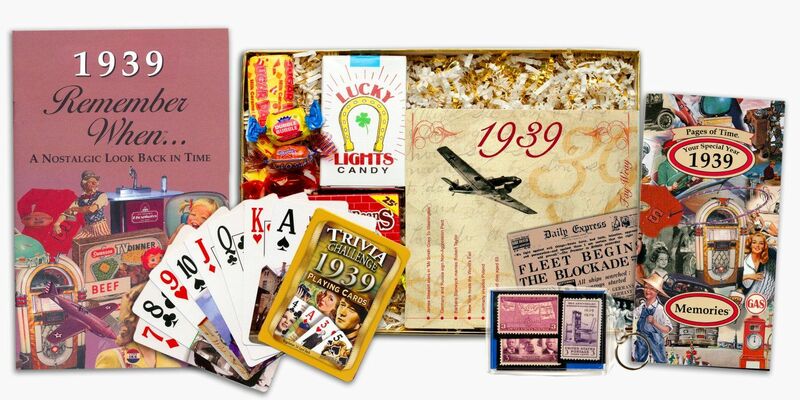 Keep the memories alive with this thoughtful gift for your loved one turning 80.